Yesterday we reported how Leicester-based photographic retailer Jacobs had called in the administrator but today there's better news for competitor Jessops. Also founded in Leicester, Jessops has had a worrying few years with sales plummeting and profits being hammered by intense competition from online retailers. However, the company's latest set of financial figures for the year ending in January 2012 showed sales growing by a creditable 3% to £236.8m, with like-for-like sales growth of 1.3% against the backdrop of a digital camera market that declined 7% over the same period. Margins were also improved from £4 million to £5.7 million, mainly thanks to strong cost control. These figures are all the more remarkable because the industry has seen significant supply problems following the Japanese Tsunami and severe flooding in Thailand. Jessops puts its strong performance down to increased staff training and a bold programme of store refurbishment that's done away the old-fashioned image and introduced sleek, black interiors to stores, with plenty of cameras on display that customers can try before they buy. In the past year a further 20 stores where given a makeover and the firm opened six new stores. Refurbished stores have seen a 20% increase in turnover. In the same period, Jessops saw online sales balloon by 79% with around 32% of all sales now being conducted online. Interestingly, a massive 70% of customers who bought online then chose to collect their purchases from their local Jessops store. This development shows that the old-style bricks and mortar store still has a role to play even in online retailing. The company has also been busy introducing a slew of new products and services for its customers. Most stores now have large-format printers installed so that customers can have wall art of their photos within an hour. There's also been a rollout of photobook design services, iPhone and iPad apps, a range of instant gifts as well as UK and International passport photo services. 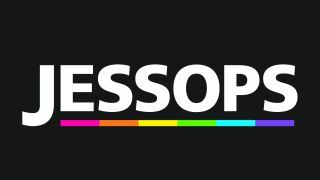 The latest Jessops product launch will be the company's Photo Legacy service, which helps customers to scan, store and reprint their old negatives and preserve precious images for the family archive. By the end of the year Jessops will launch its own cloud storage service for customers' photos. Trevor Moore, the CEO of Jessops commented: "2011 was a difficult year for retailers and 2012 is expected to remain challenging. We remain cautiously optimistic in the outlook for 2012."